Top Medicine Specialist Dr. Afsana Begum Appoinment, Contact Number, Designation, Chamber Address, Visiting Time! Hello Dear, welcome to Dr. Afsana Begum – Medicine Specialist Doctor Phone Number, Degree and Chamber Address. There a many kinds of Specialist Doctor available in Bangladesh. Today, we are going to share Medicine Specialist Dr. Afsana Begum Education Biography, Contact Number, Chamber Address and Visiting Time. So, staying with us and follow the below content. 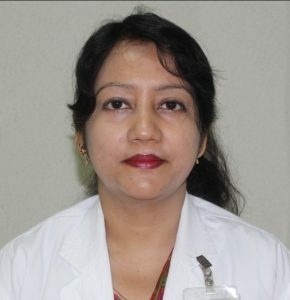 Dr. Afsana Begum Consultant, Dept. of Gynae & Obs, Mugda Medical College. Gynaecology and Obstetrics (Pregnancy, Menstrual, Uterus, Female) Specialist. New Patient : 300 TK. Thanks for staying with us a long time and visiting Top Medicine Specialist Dr. Afsana Begum Contact Number, Designation, Chamber Address, Visiting Time content. If you have any question about Dr. Afsana Begum information? Just comment here. We reply as soon as possible.